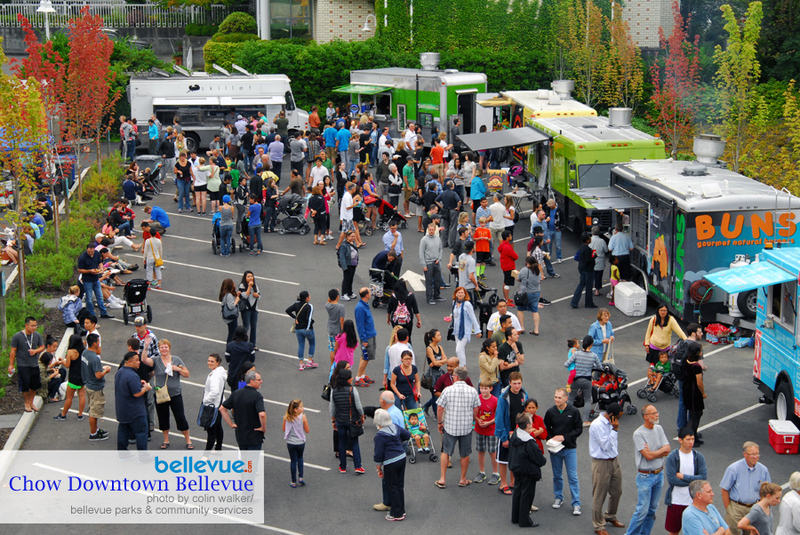 Bellevue's Chow Downtown Food Truck Round Up returns to Ashwood Park this summer. Twice the food! Twice the entertainment! Twice the fun! 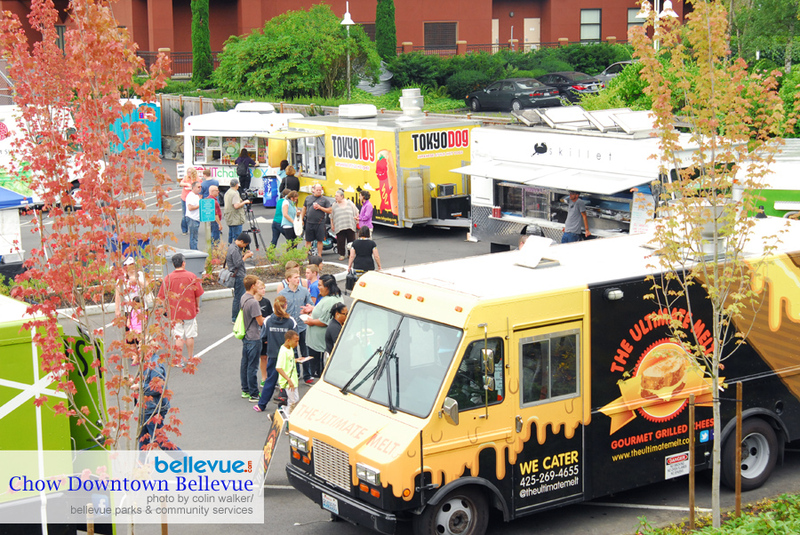 Now in its third season, the popular downtown food truck round up will happen twice this summer: Wednesday, July 12 and August 9. 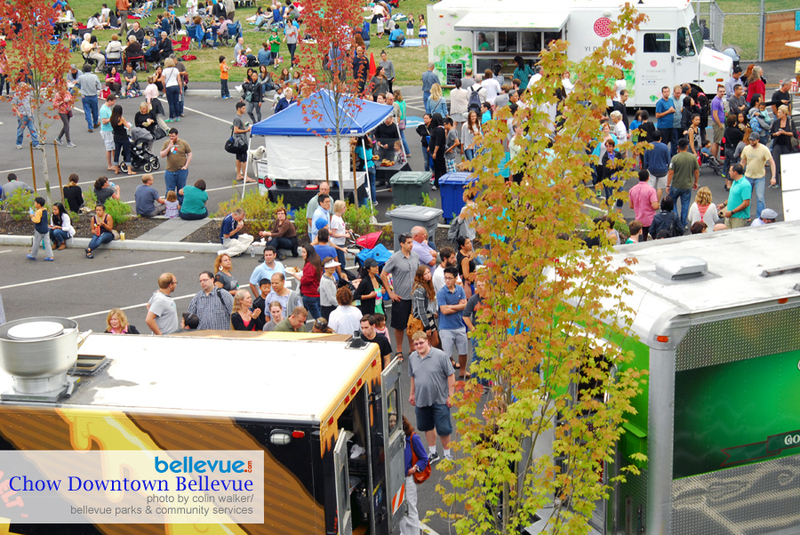 Both food truck events will take place from 4-8:30pm at Ashwood Park in downtown Bellevue right next to the Bellevue Public Library. 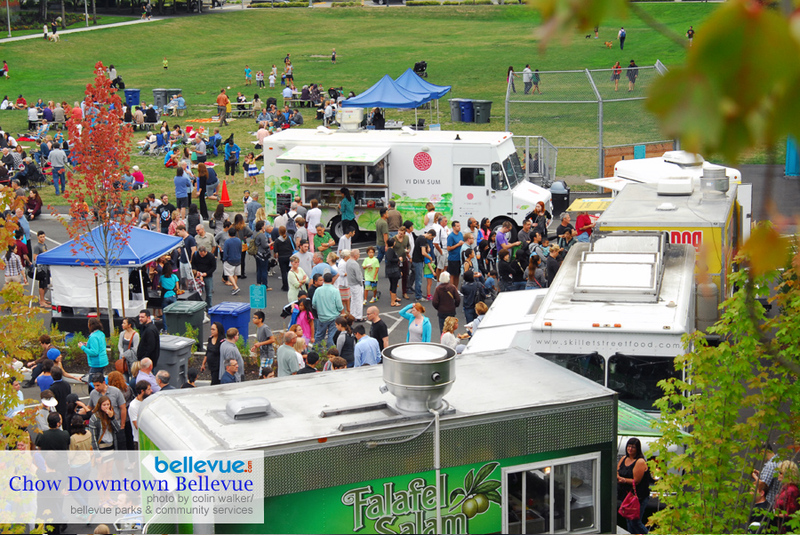 This year there will be over 10 food trucks with great food and treats plus live entertainment. 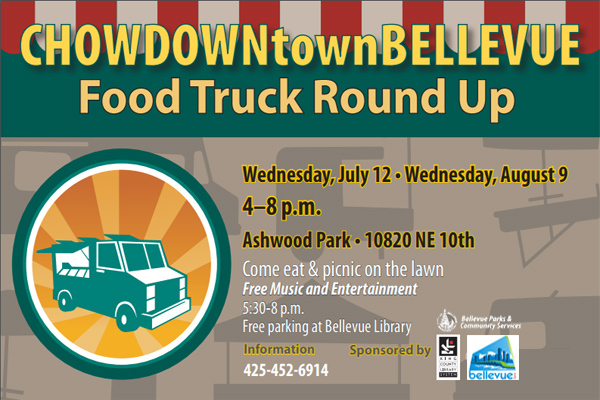 So mark your calendars and make plans to head to Ashwood Park for a great summer evening of food and fun. 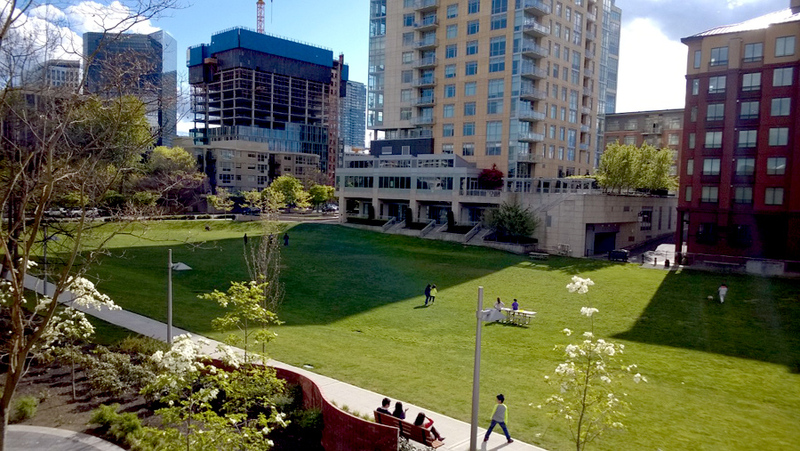 Be sure to bring your blankets and lawn chairs and picnic in the park. 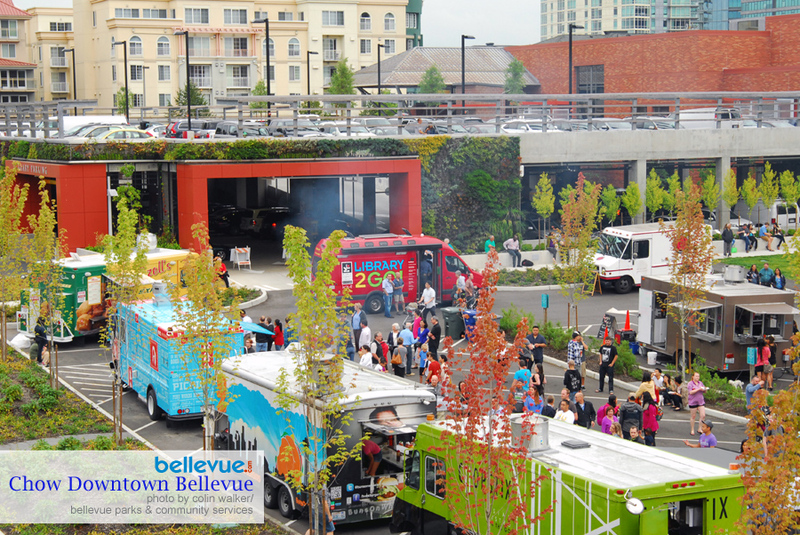 Chow Downtown Food Truck Round Up is sponsored by City of Bellevue Parks & Community Services, King County Library and Bellevue.com. 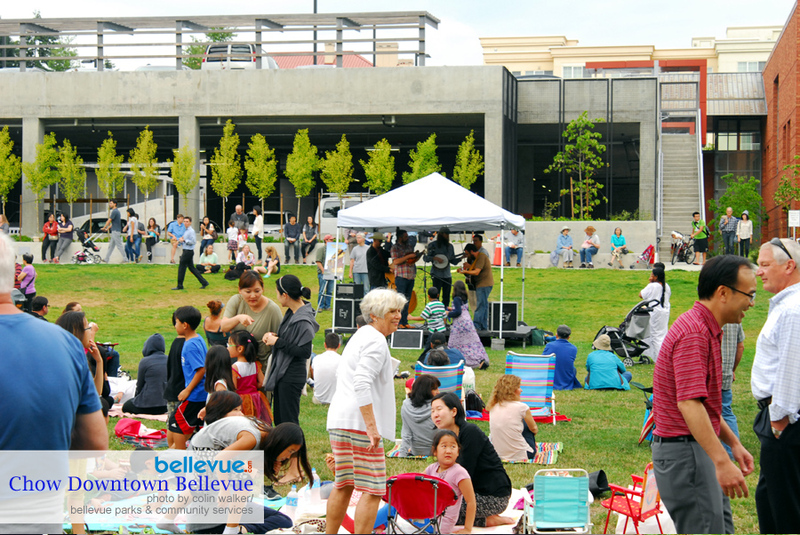 Live music on August 9: Comfort Food (Reggae, Fusion, Nu-Jazz) 5:30-6:30pm. Los Flacos will play Latin American/Caribbean music with dancers 7-8pm. 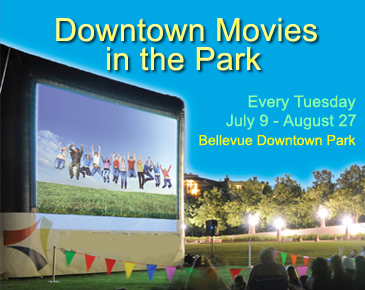 Location: Ashwood Park (10820 NE 10th Street), next to Bellevue Public Library. Free parking at the Bellevue Library.